When it comes to making tea for Anne Johnson, a lifelong tea drinker and owner of Hillsboro's Mamancy Tea company, the best cup is boiled on the stove. Growing up in Kenya, savoring tea in the morning, afternoon and before bed wasn't just a routine — it was time set aside to have a conversation with loved ones. "Tea there is an all-day event," Johnson said. "We drink a lot of tea culturally because it was a British colony. It was made for sharing. In the morning, we'd have people sitting together drinking tea like you would coffee. Coming from that background, I knew more about tea and found it was about building relationships." Her business, Mamancy Tea, pre-bags loose leaf tea — green, herbal, black, matcha, decaf, chai, white, oolong, rooibos, mate, puerh and organic teas — which she sells online and at Washington Square Mall along with several varieties of handmade chocolates. When Starbucks-owned Teavana, which operated at Washington Square for years, closed, Johnson saw an opportunity, she said. "It is a great location for us to be to get our feet wet," Johnson said. 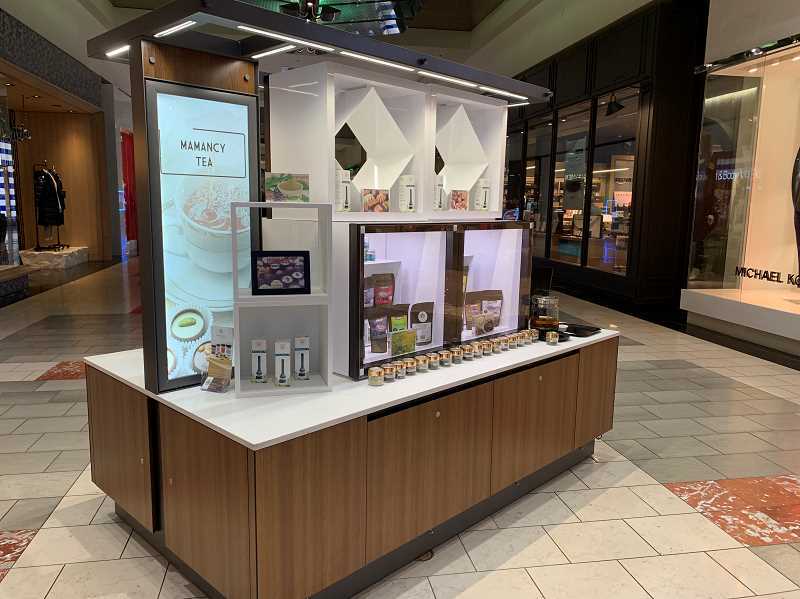 "After Teavana left, people went looking, and now they can still get quality teas in the most convenient place. People are starting to come back after finding out about us." The business took off in April 2018 with the vision to encourage people to take time for themselves with a cup of tea and a treat. Johnson has plans of opening a Hillsboro storefront in the near future, she said. Johnson, who lives in Hillsboro, said she loves to be based in Washington County. "This is the environment to be a female business owner," she said. "People are respecting that … I feel like Hillsboro is a place with undervalued minds. There is so much here that can be done. A lot more businesses are realizing that." 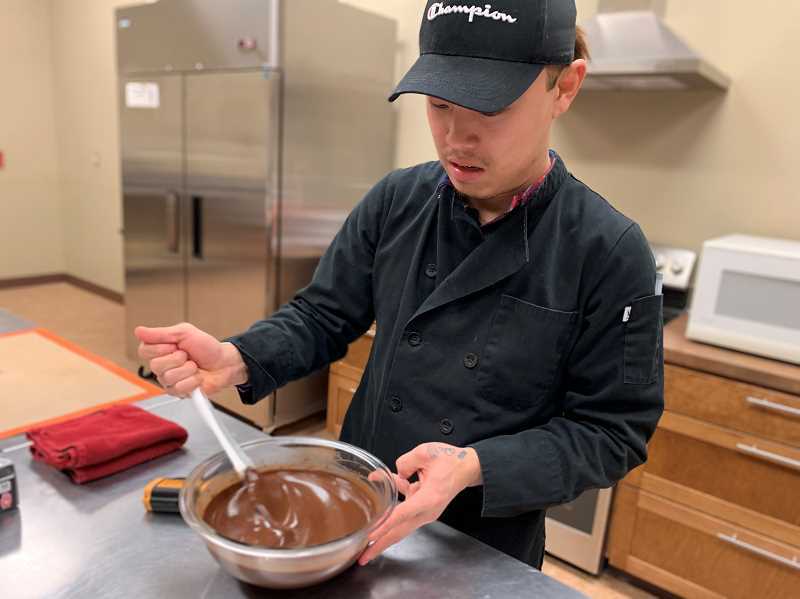 At 9 a.m. on a weekday in the kitchen at Alliance Bible Church in Hillsboro, Johnson and teammate Edward Kim are in the kitchen prepping ganache to cool off and proceed to craft chocolate fillings. "Chocolate has its own language," Johnson said. "It is simple, but it can get complicated so easily. Playing with color is something that made a great addition to making our experience fun with the tea. The idea is about sharing a moment in time." 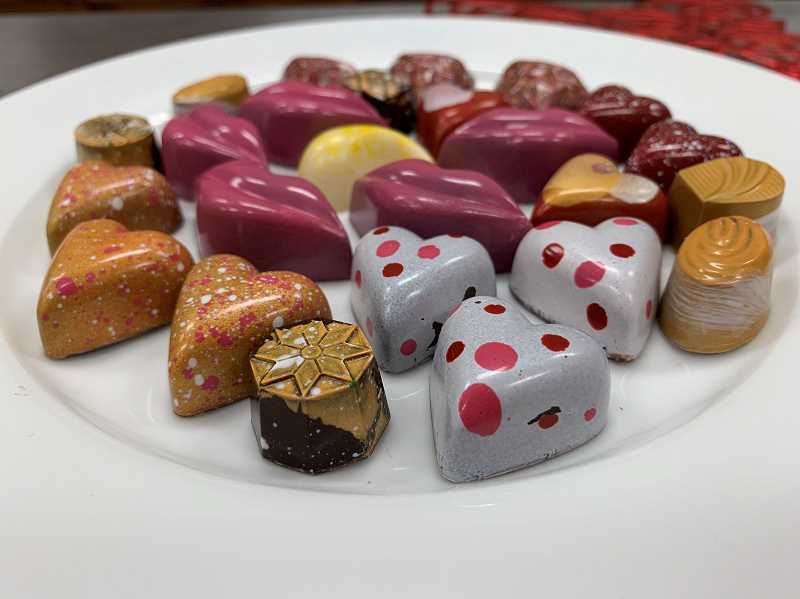 Mamancy's chocolate is molded daily, with a process as detailed and unique as their appearance. With gold, red, green and speckled looks, the decision to design them with standout details was deliberate, Johnson said. "What inspires the color is what is in the chocolate," she said. "The splashes of gold and white tell us it has coffee. We play with colors, we want to keep it exciting and different." Johnson moved to Oregon from Kenya in 2001 to attend business school for accounting, but it wasn't her passion, she said. "There was no fire behind it," Johnson said. "I had a creative mind, but it took a while to discover what I wanted to do. I got married and had children, and with that process, I missed the whole culture behind relaxing and not having to be so hurried. When you come home at the end of the day, it is about drinking tea and catching up." Mamancy Tea now offers more than 20 tea blends, with ingredients including flowers, spices and herbs. Mixing ingredients is an art form in itself, Johnson said. She attended tea sommelier school in San Francisco to prepare to develop Mamancy Tea. "Tea is very sensitive, you have to keep it away from light and additional odors," she said. "That way, it retains the quality of the tea and allows people to reuse the tea bags to make more tea." As Mamancy grows, Johnson would like to bring in tea flavors from Kenya. "We have been working hard to find loose-leaf tea there," Johnson said. "Most of it shipped from Kenya is pre-bagged." 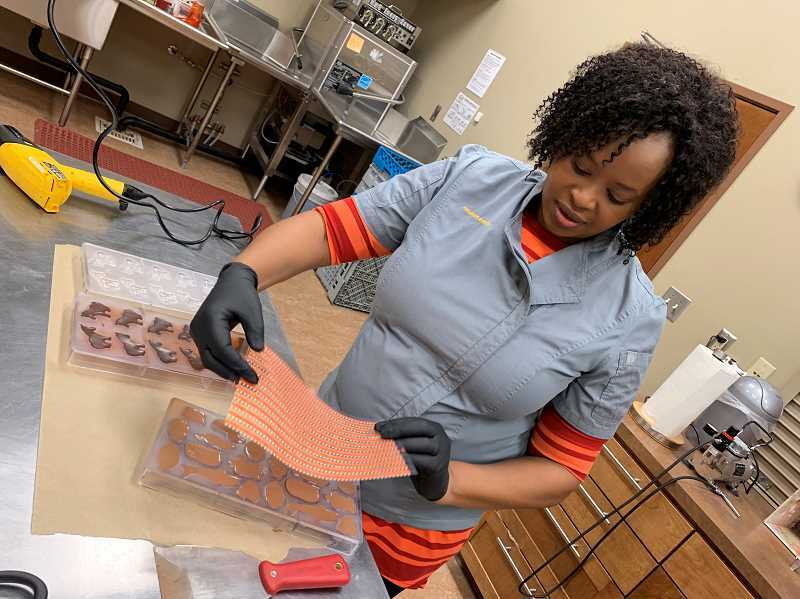 Not only is the company's name a combination of her name, her 4-year-old son Matthew, her husband Mark and 16-month-old daughter Mercy, but her father influences her every day. "My father was a great business owner," Johnson said. "What inspires me about him, he wasn't super educated but he was gritty. He had tenacity and perseverance even when the economy was down. He is one of those people I wish I could go back in time to say, 'Thank you and tell me more about what I should avoid and what I should do.'" Johnson draws inspiration from South African tea brand Yswara and its founder Swaady Martin. "She is taking the concept of tea and bringing it back to the African continent. Growing the tea, packaging and selling. I love what she is trying to do," Johnson said. "Tea is a great commodity in Africa but it is always shipped out but then sold back. We produce the tea, but we don't drink it, it just gets marketed back to us. It keeps the people who grow the tea poor." Fair trade is near and dear to Mamancy as a company, with Johnson's future plan to approach individual farmers and source tea and cocoa beans directly. For now, the company works with companies that promote fair wages, and wants to give back as the company gains footing in the industry, she said. It has set up a partnership with the Kenyan organization Angel Centre for Abandoned Children, which helps children to find homes or find their way back to their parents. "A percentage of our proceeds give back to where I came from, and support people who cannot support themselves," Johnson said. To learn more about Mamancy Tea, find them on Facebook, Instagram or at its website..